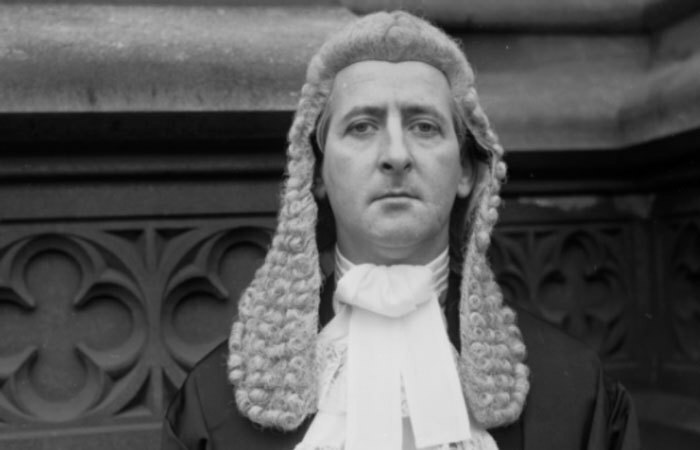 In my very brief career as a barrister, the most surprising acts of kindness came from an unusual quarter: the man who had been my chief reason for going to the Bar, not because of his kindness, but because of his brilliance - George Carman, the man whose brilliant advocacy got Jeremy Thorpe off the hook in 1979. Towards the end of my pupillage in 1999, I got the chance to work with him. As we crossed Fleet Street, I saw a familiar-looking, diminutive figure, swamped by solicitors, standing outside the Royal Courts of Justice - the great white Gothic fortress that divides the Strand from Fleet Street, and Westminster from the City of London. A solicitor in his late 40s was sent to a newsagent’s on Fleet Street, and the rest of us marched into court. After a morning spent discussing a procedural point in an unnewsworthy case, Carman took me and my pupilmaster to lunch in the Royal Courts of Justice cafe. The normal form for me would have been to keep quiet and draw legal lessons from their conversation as they discussed their holidays. “How are you enjoying being a pupil?” said Carman, as soon as we sat down. “It’s very enjoyable and useful,” I said. “I think we’ve got a good chance, George,” said my pupilmaster. Like all my experiences of big cases, this was not the trial proper - that was to be Carman’s last case, and was held a few months later - and he was there only to argue a complex procedural point. Carman’s argument was that, since the Nolan Committee on Parliamentary Standards had already decided that Hamilton had behaved improperly, it would be a wrongful interference with the supremacy of Parliament for a court to quash a parliamentary decision by siding with Hamilton. It was a tenuous argument - it was later held that the decision of the Nolan Committee was not on a level with a parliamentary decision, ie, Hamilton could still contest the case. So, with the odds stacked against him, Carman did not have much of a chance to shine on the afternoon I watched him in action. But that didn’t stop his legal team swooping down on him, making clucking, admiring noises at every break in the proceedings. “Well done, George,” said one of the senior solicitors. “What about the case; when will it get to trial?” said the other senior solicitor. “What are our chances?” said a senior barrister. “20 Silk Cut,” Carman said, holding back the barrage of inquiries with the same deep, even tones that he used in court. There was no trace of his native Lancashire in his voice but his English - which, though certainly received, was not as fruity as his 70-year-old public-school-educated contemporaries - retained a gentle lilt that might have owed something to his Blackpool youth. Sara, a barrister contemporary of mine, was particularly good on Carman, who she had known well. “He was very kind to me when I met him,” I told Sara, when we bumped into each other in a Fleet Street bar towards the end of my pupillage. Sara went on to tell me how, at the beginning of his career, aged 25, he had contracted an ill-fated marriage with a market researcher on whose earnings, his wife claimed, he depended to subsidise his paltry income as a lowly criminal hack. Carman does not include his first wife in his Who's Who entry. “I saw her once,” said Sara. “She came to court to confront him. I didn’t know who she was at the time and, when she left, I asked George who she was. The first Mrs Carman has given her own account of the reunion. His first disastrous marriage was followed by another two. Whether the personal side of his life was unfulfilled or not, Carman had certainly cracked the professional side so beautifully that he avoided all the bits of the job I hated - the years spent in your room filling files with paper, then putting them on your shelves, then taking them down and then re-reading them. Ever since he first made his mark, defending Jeremy Thorpe in 1979, Carman’s fine oratory meant he was reserved by chambers expressly for court appearances. So other barristers did most of the dreary paperwork while he was brought in for the denouement - the exciting bit of the case. Like F. E. Smith and Rumpole of the Bailey, he stood for a type that is rare in real life — the master of the beautifully weighted, erudite phrase - but has stuck tenaciously in people’s minds as the exemplar of the barrister. By the time of Hamilton v Fayed in 1999, Carman was almost 70, and had only a little over a year left to live, but he was still at the height of his powers. I was no longer a pupil or a mini-pupil; so I had no insider’s way into getting a seat in court. Still, I managed to get into the public gallery for the final day of the case. Everything was much as I had left it a few months earlier: the same courtroom, the same waves and waves of solicitors and lawyers. With an extremely relaxed manner, Carman dealt with the new arguments that were consistently thrown up by his opponent with exactly the right answer, combining lightning-quick thinking and a large amount of facts trawled from the months of research that had gone into the build-up of the trial. With his quiverful of forensic skills - and Neil Hamilton’s pattern of admitting only the sins that had been proved against him and vigorously denying anything else — victory looked secure as soon as the jury left the room. Carman won the case for Mohamed Fayed. He died in 2001, aged 71.